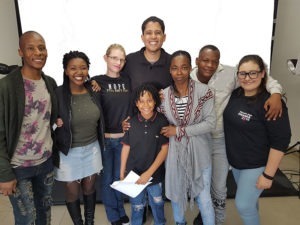 Description: Presented by Jacques (Actor on 7de Laan), this course is suitable for anyone from 6 to 16 years old and will provide beginners and all-round foundation and prepare you to confidently enter for roles on TV and Film. 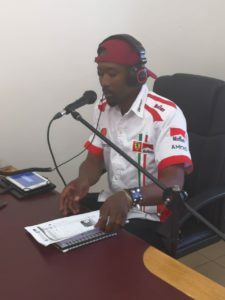 Our courses are facilitated by professionals who are already acting / working in the industry. Description: Presented by Gayle Maginness, this course is suitable for anyone from 4 years old and will provide beginners confidence and an all-round foundation specific to modelling. 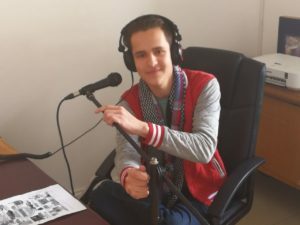 Description: A new and dynamic radio course for children aged between 8 and 17 years. 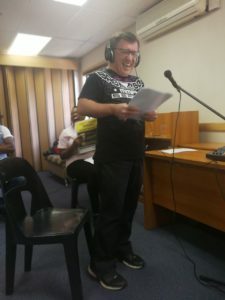 This course assists greatly with confidence and is great for upping your childs voice over skills. 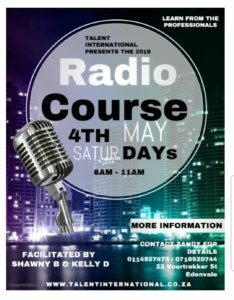 The course is facilitated by Shawny B (Radio 2000) and Damian Cappie Schmidt (Mix 93.8FM Radio) and a certificate of attendence and completion is given from Talent International. 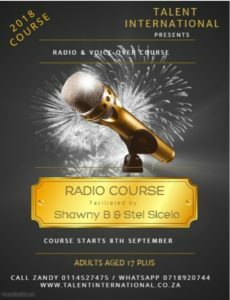 Description: Facilitated by Shawny B (from radio 2000 & Vodacom Radio) and Stel Sicelo Hlophe (Power FM). 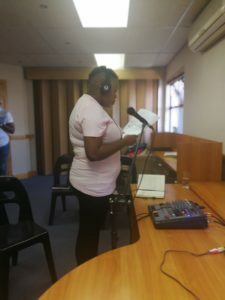 This introductory course into radio broadcasting / presenting addresses voice over work & the art of radio. 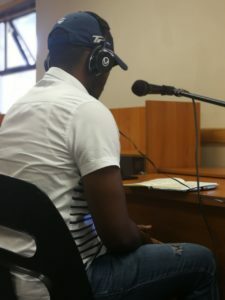 Developing your own style & brand. Different voice techniques & warming up the vocal cords. How to handle a script & deliver it with confidence. 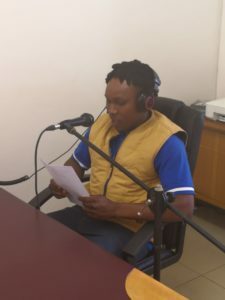 We have had great success with this course. 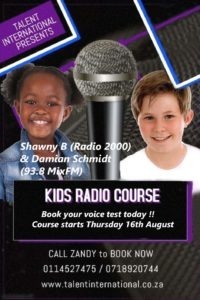 Our new Kiddies Radio & Voice Over Course at Talent Internationals with Shawny B & Damian Cappie Schmidt ! Are you interested in one of our courses? Or some one-on-one coaching? 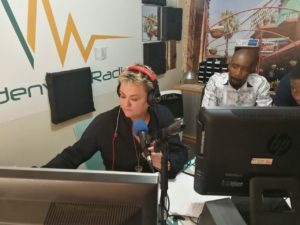 What course/courses are you interested in? What talent jobs would you like to do?